"The cinema-worthy rom-com of your summer reading dreams." 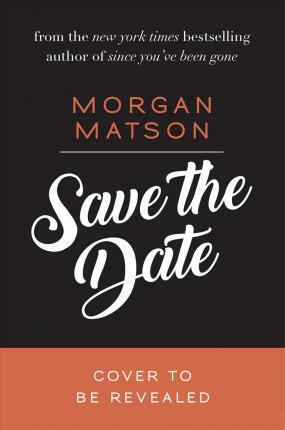 --Bustle Father of the Bride meets Sixteen Candles in the latest novel from New York Times bestselling author Morgan Matson. Charlie Grant's older sister is getting married this weekend at their family home, and Charlie can't wait--for the first time in years, all four of her older siblings will be under one roof. Charlie is desperate for one last perfect weekend, before the house is sold and everything changes. The house will be filled with jokes and games and laughs again. Making decisions about things like what college to attend and reuniting with longstanding crush Jesse Foster--all that can wait. She wants to focus on making the weekend perfect. The only problem? The weekend is shaping up to be an absolute disaster. There's the unexpected dog with a penchant for howling, house alarm that won't stop going off, and a papergirl with a grudge. There are the relatives who aren't speaking, the (awful) girl her favorite brother brought home unannounced, and a missing tuxedo. Not to mention the neighbor who seems to be bent on sabotage and a storm that is bent on drenching everything. The justice of the peace is missing. The band will only play covers. The guests are all crazy. And the wedding planner's nephew is unexpectedly, distractingly...cute. Over the course of three ridiculously chaotic days, Charlie will learn more than she ever expected about the family she thought she knew by heart. And she'll realize that sometimes, trying to keep everything like it was in the past means missing out on the future.